Doc. 7: "Shards in the wound"
Doc. 9: Coming to Terms with "Crimes against humanity"
The material put forward here deals with the SS doctor Herta Oberheuser, who took part in medical experiments with humans. As the only female defendant in the Nuremberg Trial, her defence strategy relied on gender specific arguments. It is precisely because she had not played any leading role that her case helps us to focus on ordinary physicians who participated in and benefited from such experiments. 1. Medicine was one of the few fields in National Socialism in which women could make a – albeit limited – career. Discuss how far this might explain Herta Oberheuser ‘s commitment. Compare her view with the perception of the witness Władysława Karolewska and the assessment of the judges. 2. "I will prescribe regimens for the good of my patients according to my ability and my judgment and never do harm to anyone", declares the Hippocratic Oath. This indicates that there has been an ethic codex for doctors and medics for 2400 years. Can the codices of Nuremberg and Helsinki help to prevent the recurrence of crimes similar to the doctors’ crimes committed in Nazi concentration camps? 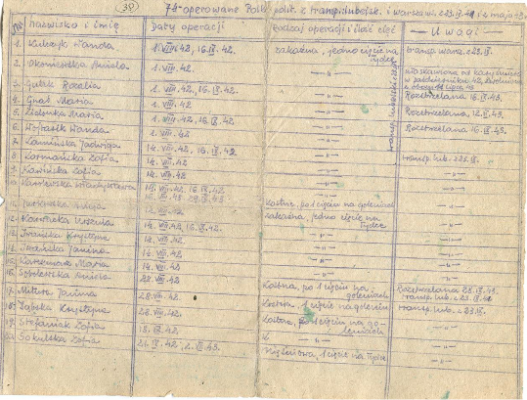 Clandestine documents from the Ravensbrück Concentration Camp. Source: Constanze Jaiser and Jacob David Pampuch: Ein Schmuggelfund aus dem KZ – Erinnerung, Kunst und Menschenwürde. Projektmappe für einen fächerübergreifenden Unterricht [Smuggled Out of the Camp – Memory, Art and Human Dignity, Project Folder for Interdisciplinary Learning], Berlin 2012. 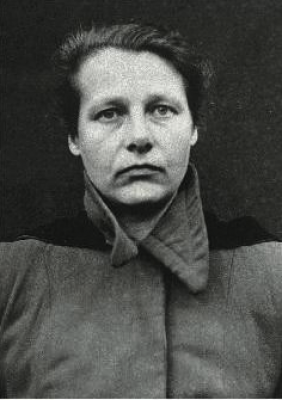 Affidavit SS-Doctor Herta Oberheuser, 2 November 1946. 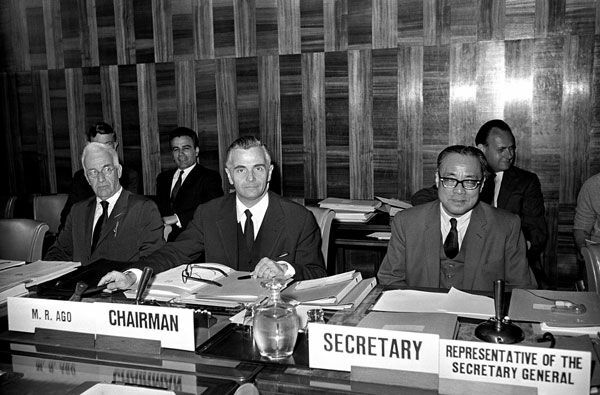 Source: Trials of War Criminals before Nuernberg Military Tribunals, HLSL Item No. : 1798, Evidence Code No. : NO-487, Harvard Law School Library. 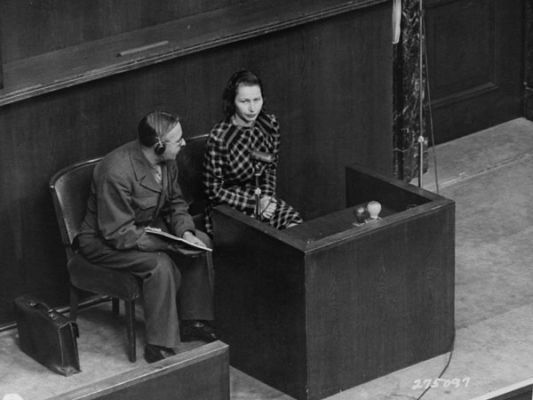 Cross Examination of the SS-Doctor Herta Oberheuser. Source: Trials of War Criminals before Nuernberg Military Tribunals under Control Council Law No. 10 (extract). 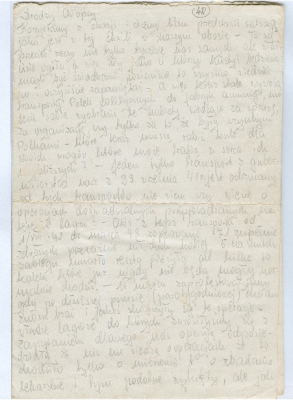 Cross Examination of the Władysława Karolewska, victim of the medical experiments. Source: Trials of War Criminals before Nuernberg Military Tribunals under Control Council Law No. 10, Vol 1, Nuernberg, October 1946 – April 1947, pp. 409-417 (excerpt). Final Statement of Dr. Herta Oberheuser, Judgement and Sentence. Source: Trials of War Criminals before Nuernberg Military Tribunals under Control Council Law No. 10, Vol 1, Nuernberg, October 1946 – April 1947, pp. 174, p. 773, 294-95, 300. "Scherben in der Wunde" ("Shards in the Wound"). Source: Der SPIEGEL 46, 9 November 1960. 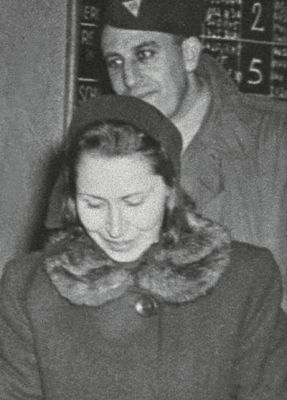 Biographical Note on Władysława Karolewska. Source: www.tonworte.de (Smuggled Documents/Witnesses for the Prosecution). 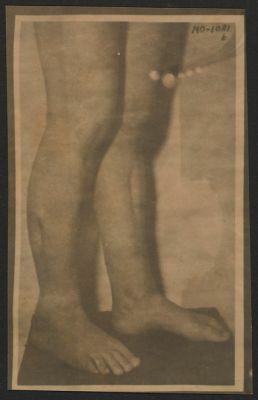 Photos of the injured legs of witnesses of the persecution. Source: Trials of War Criminals before Nuernberg Military Tribunals under Control Council Law No. 10, Vol 1, Nuernberg, October 1946 – April 1947, pp. 901-903. 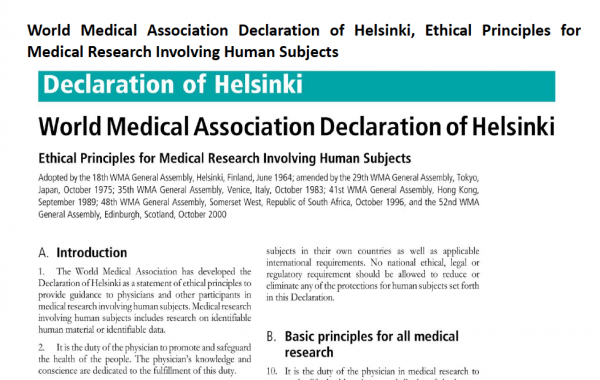 World Medical Association Declaration of Helsinki, Ethical Principles for Medical Research Involving Human Subjects. Source: Bulletin of the World Health Organization, 2001, 79 (4). Harvard Law School Library: Nuremberg Trials Project. A Digital Document Collection. The Nuremberg Trials are one of the historic roots of legal issues within the EU. Not only was this the first time that defendants could be charged with "crimes against humanity", but the Nuremberg Code, announced by the judges at the end of the doctor's trial, established ethical principles of research for experiments on humans. These are still valid and underpin other declarations, such as the World Medical Association Declaration of Helsinki. 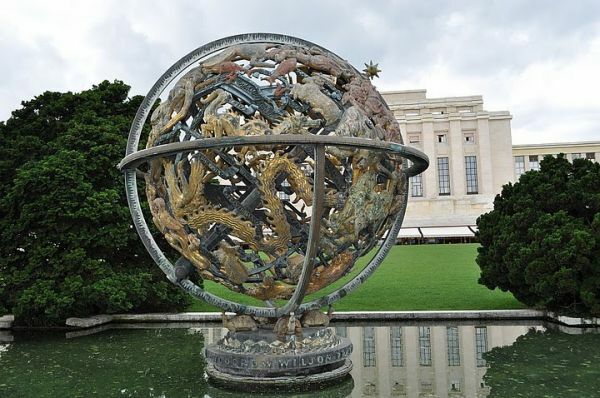 The opportunities and limits of transnational justice measures, which can be discussed from a historical perspective, can also be transferred to current issues, whether these concern issues around the ICC in The Hague or ethical standards of scientific research, also laid out in the EU Charter. 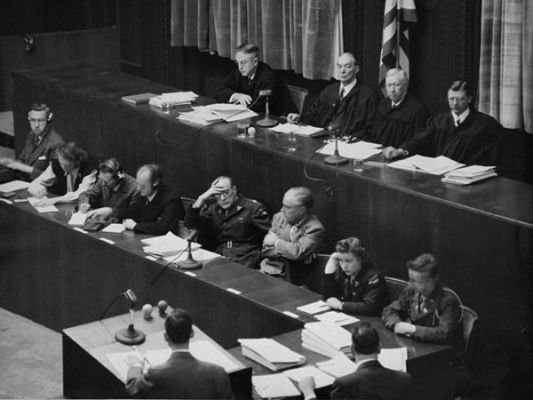 One of the famous Nuremberg Trials can be used as a historical example of article 47 of the EU Charter ("Right to an effective remedy and to a fair trial"). 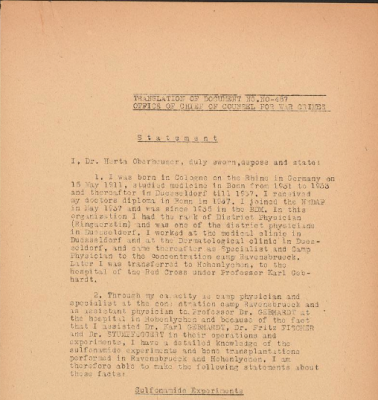 On 9 December 1946, an American military tribunal opened criminal proceedings against 23 leading German physicians and administrators for their willing participation in war crimes and crimes against humanity. In Nazi Germany physicians planned and enacted the "Euthanasia" Programme, the systematic killing of those they deemed “unworthy of life”. Furthermore, they conducted scientific and medical experiments on thousands of concentration camp prisoners without their consent. Most died or were permanently crippled as a result. Most of the victims were Poles. After almost 140 days of proceedings, including the testimony of 85 witnesses and the submission of almost 1,500 documents, the American judges pronounced their verdict on 20 August 1947. Sixteen of the doctors were found guilty. Seven were sentenced to death, the others received long imprisonment sentences. The Case Study here deals with scientific and medical experiments in the Women's Concentration Camp at Ravensbrück, under the direction of SS surgeon Prof. Dr Karl Gebhardt. 74 Polish women were operated on, most of them on several occasions, as part of a series of different tests. 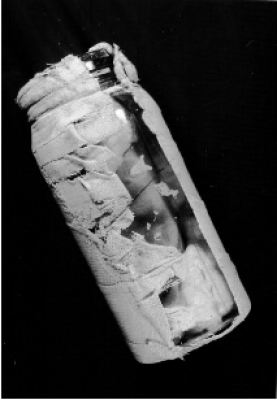 They were intended to prove that sulfonamides are not successful in treating infected wounds (gangrene, gas gangrene), a frequent problem for soldiers for which penicillin therapy had yet to be discovered. Various other enforced operations can be divided into series of experiments on bone, muscles and nerves.